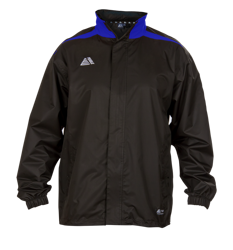 The Penarol Rainsuit is our waterproof and windproof rainsuit. 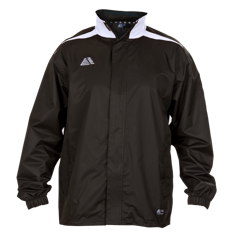 It offers full protection in even the worst weather. 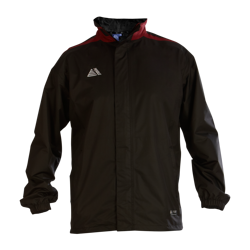 It is a robust Rainsuit that will last longer in the terrible conditions than you will. 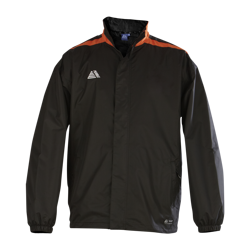 Featuring a hidden zip and a Velcro fastening storm flap, you will be able to wrap yourself up and still support your team. We offer the greatest quality products at the best possible prices at Pendle. 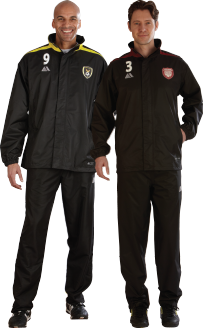 So, you can be sure that our Rainsuits will measure up. 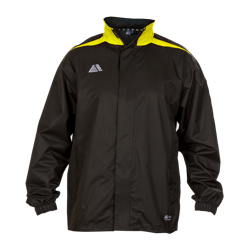 With colourfast material and insutry leading stitch strength, the Penarol Rainsuit is the perfect piece of training wear for your team. The Penraol Rain Top in 6 colour combinations: Black/White, Black/Royal, Black/Red, Black/Yellow, Black/Tangerine, and Black/Maroon. Meaning you'll be able to find the perfect colours to work for your team. Team it with a pair of our Black Penarol Waterproof Bottoms for a head-to-toe waterproof outfit.